The unofficial start to Summer is here! Are you all set for summer entertaining? No? Well head on over to Pottery Barn and check out the Galvanized Collection. It's a summer must have! Which of these beauties are your favorite? I'm going with the galvanized party bucket and stand, and the 3 tier serving stand. Wait a minute, the bottle caddy makes the cut as well. Okay.. I love all of the pieces!! 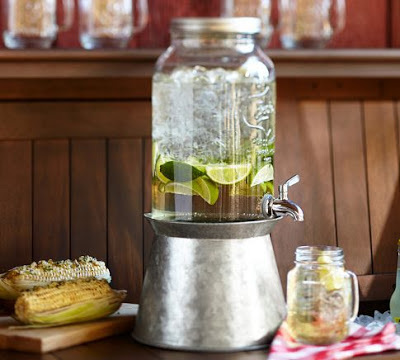 I am totally a fan of mason jars, and I have a thing for drink dispensers. Put them together and what do you get? The Mason Jar dink dispenser! 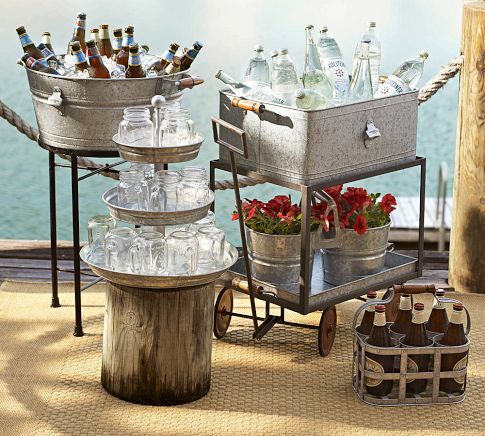 Place it on top if the galvanized drink dispenser stand to complete the look. I love it! Whats summer without ice cream? 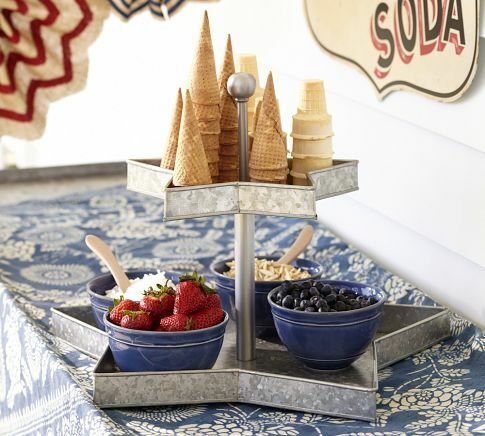 Bring your event to a sweet end with this cute galvanized star tier stand is perfect to display desert, toppings, cones, or what ever you feel it. It will look great. Check out the galvanized star collection to add patriotic flair to your celebration. It would be a great addition to a Fourth of July celebration!